Song Jin, a professor of chemistry at the University of Wisconsin-Madison, has a better idea: integrating the solar cell with a large-capacity battery. 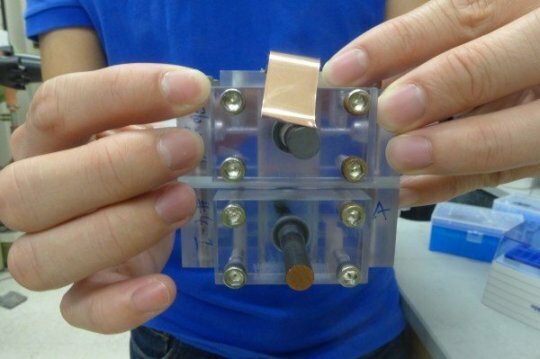 He and his colleagues have made a single device that eliminates the usual intermediate step of making electricity and, instead, transfers the energy directly to the battery’s electrolyte. Materials provided by University of Wisconsin-Madison. Original written by David Tenenbaum.